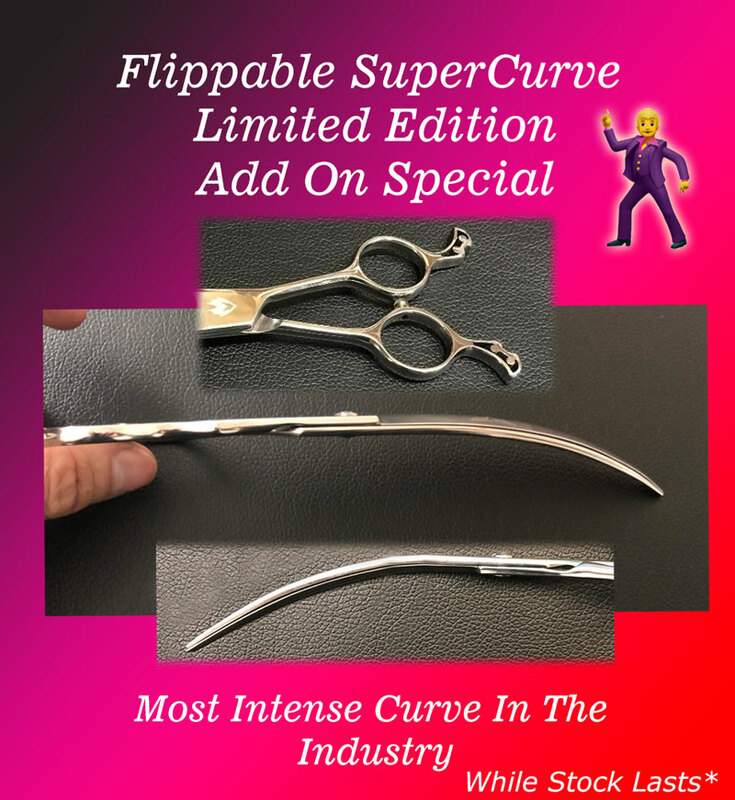 Add a special Limited Edition 8" SuperCurve Shear to your order for a special add on price of $69.00 (Save $130.00). This shear has the most INTENSE curve in the industry. It will become an irreplaceable gem in in your tool arsenal in no time. You will not regret it guaranteed.